Home » Supplement Ingredients » How Much Weight Can I Lose With Green Tea? This is a very good question to be asking. You see, supplement retailers—the folks so eager to sell you the green tea diet pills that will “melt the fat” from your body—are more than happy to cite various “studies” that supposedly validate this ingredient’s amazing weight loss benefits. What they do not do, for reasons that will become obvious in a moment, is explain them in context. Because if they did, it would be much more difficult to get you to hand over your credit card. For example, you may be aware that a bona fide, published, peer-reviewed clinical study clearly demonstrates consuming green tea supplements can elevate the metabolism. Most retailers are happy to reference this study, which was published in the American Journal of Clinical Nutrition. But what they do not do, is explain the study clearly or link to the study abstract so you can view the results for yourself (hang in there; I know you still want to know how much weight you can lose with green tea, but this is important!). So let’s look at this study more closely. If you put aside all the technical jargon and garble-dee-gook, what it boils down to is this; a green tea supplement standardized for 50 mg caffeine and 90 mg EGCG taken 3 times per day boosted the metabolism by 4%. Well, if you’re a 140 lbs. woman whose caloric requirements are 1500 calories per day, a 4% boost in metabolism equates to 60 calories. If you’re a 185 lbs. guy whose caloric requirements are 2500 calories per day, a 4% increase equates to 100 calories. A single pound of fat equates to approximately 3500 calories. If our 185 lbs. guy consumed only the calories he required (neither over or under-consuming them) it would take 35 days of supplementing with an appropriately dosed green tea supplement to lose the caloric equivalent of a pound of fat. Assuming the same thing for our 140 lbs. woman, she would need to supplement for 58 days. (This is, of course, a vastly simplified explanation of how weight loss actually works, but I’ve presented it this way to provide you with some much needed context). Obviously, green tea helps a little, but it’s not particularly helpful if you have 20 or 30 pounds to lose. And it’s certainly no miracle pill. But that’s not to say that you shouldn’t consider drinking green tea or taking a supplement—the benefits it offers are extensive, regardless of its weight loss effectiveness. Additionally, preliminary studies suggest it may inhibit the action of several enzymes critical to the metabolism of carbohydrates, leading to a “carb blocking” effect. This could mean green tea’s weight loss effects may be more dramatic than previously thought (see the complete green tea review for more details). If you still think an experiment is in order, don’t buy into the hype of over-priced products. Consuming a high quality green tea is all you need to do; I recommend Julian Tai’s Amazing Green Tea. I buy all my tea from Julian, and I have no hesitations recommending him to you because I can personally guarantee your experience will be pleasurable and efficient… just like mine have always been! 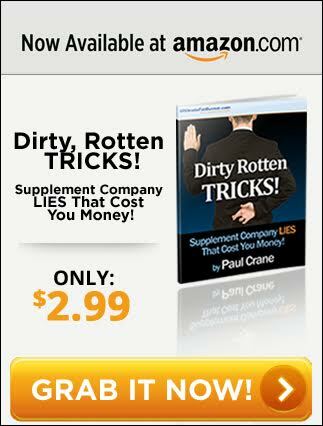 If you’d rather go the “supplement” route, you can buy an extremely potent product at a reputable online retailer for just over $10. You may want to stack this product with half a caffeine pill; caffeine and EGCG are the two most critical elements of green tea’s effectiveness when it comes to weight loss and the aforementioned product does not appear to be standardized for caffeine. One; you can’t determine the source of the tea, the quality—or even if its likely to be contaminated. Two, clinical studies suggest that over-consuming green tea extracts may pose a health risk. These two reasons are why I choose to drink Julian’s tea, instead of using a pill-based supplement.